There is nothing wrong with your computer screen. Do not attempt to adjust the picture. We are controlling transmission. You are about to participate in a great adventure. You are about to experience the awe and mystery which reaches from the inner mind to—the This Was Television spooky roundtable. 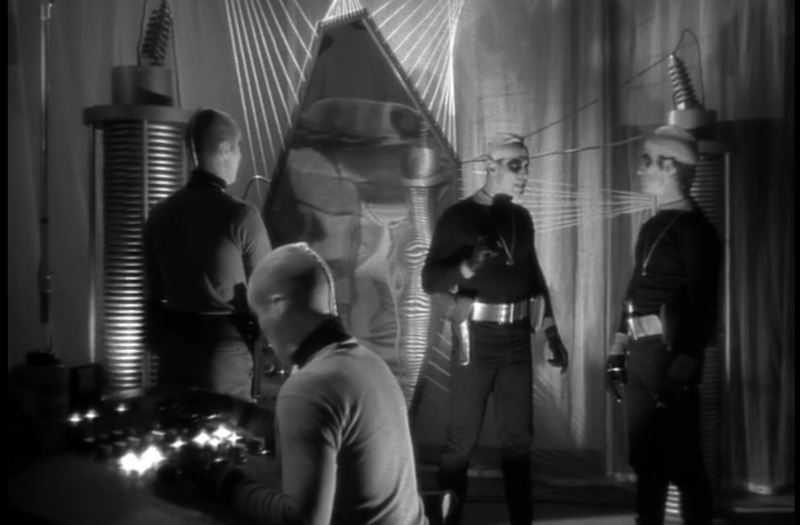 Les: Once again, we’re discussing an episode of an anthology series centered around one man and the movement of his fingers, although our selection from The Outer Limits is a much different animal than Alfred Hitchcock Presents. While “Breakdown” was fixated on the isolation of one man inside his mind and his desperate attempts to communicate with the outside world, “Demon with a Glass Hand” finds a different kind of isolation in the world of Mr. Trent, a man who woke up on the street with no clear memory of who he is. All he knows is that he’s being pursued by a mysterious force known as the Kyben, that both he and they have traveled through time, and that he’s in possession of a glowing glass hand that offers him probable scenarios in a calm, rational tone. The story, written by Harlan Ellison, has a wide apocalyptic scope in setting up the human/Kyben conflict (a conflict he’d visit in future stories), but it’s remarkable to me how enclosed of a story it is. Virtually everyone in the story is trapped to one degree or another, and the effectiveness comes in how it the characters are aware of that fact. Trent and Consuelo know they’re trapped in the office complex and have no way out save killing to reassemble the hand. The Kyben know that they’re trapped in this time, and as much as they may boast that they do not fear death there’s a hesitation about them whenever Trent threatens to yank their medallions off and snap them back across time. And by the end, Trent knows he’s irrevocably trapped: by the reveal of his Eternal Man status, the 12 centuries of waiting he’ll face, and the 70 billion people wrapped around his chest. One thing the episode does have in common with “Breakdown” is a strong presence at the center of it: in this case Robert Culp, best known for I Spy and The Greatest American Hero. Ellison wrote the part of Trent with Culp specifically in mind, and he’s terrific here as a man trying to keep it together in near-impossible circumstances. I wasn’t at all interested in his relationship with Consuelo (I thought Arlene Martel was pretty dreadful to be honest) but he conveys a restrained anger when interrogating the Kyben prisoners and a frustration that grows the more complete the hand becomes. The latter in particular is very important, as he’s speaking to an inanimate object (its smooth monotone delivery a predecessor to more terrifying AIs like HAL 9000) and makes it feel like a conversation, and one he can never get the proper answer out of. 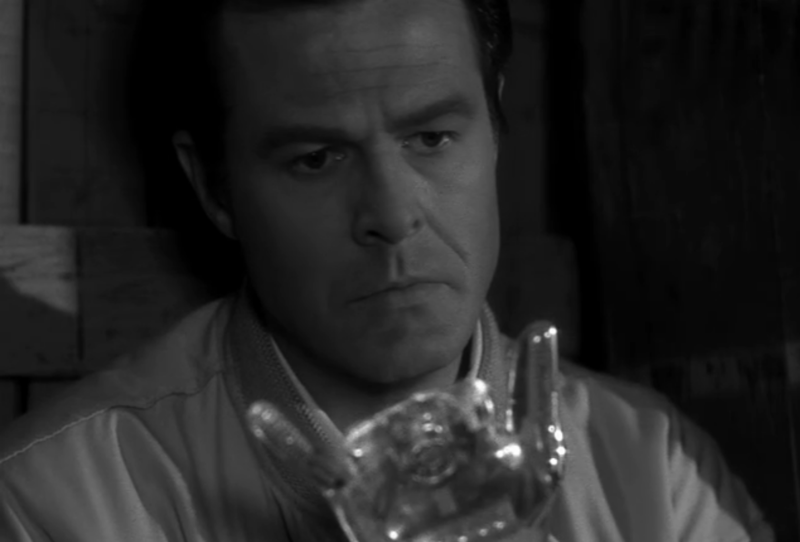 And feeding into our ongoing discussion of horror working successfully within the confines of television, I want to praise “Demon With a Glass Hand” for just how claustrophobic of an installment it manages to be. Evidently Ellison’s original script involved more of a wide-reaching, cross-country pursuit of Trent by the Kyben, but budgetary limitations forced him to alter it to its final narrative within the office building. It’s the right decision as director Byron Haskin (also responsible for the 1953 War of the Worlds film adaptation) gets excellent mileage out of this limitation and the space selected* for the shoot: gunfire traded across the walkways, the setting of the attic where Trent and Consuelo take refuge, and the movement of the elevator as Trent and the Kyben pursue the final finger down the mail shaft. Forget the big questions of time and space: for the purposes of this one night, everyone’s world is confined to these five floors. *The episode was shot inside the Bradbury Building, used for many other films and TV but most notably for the final scenes of Blade Runner: yet another story where questions of who was man and who was machine were asked to remarkable effect. 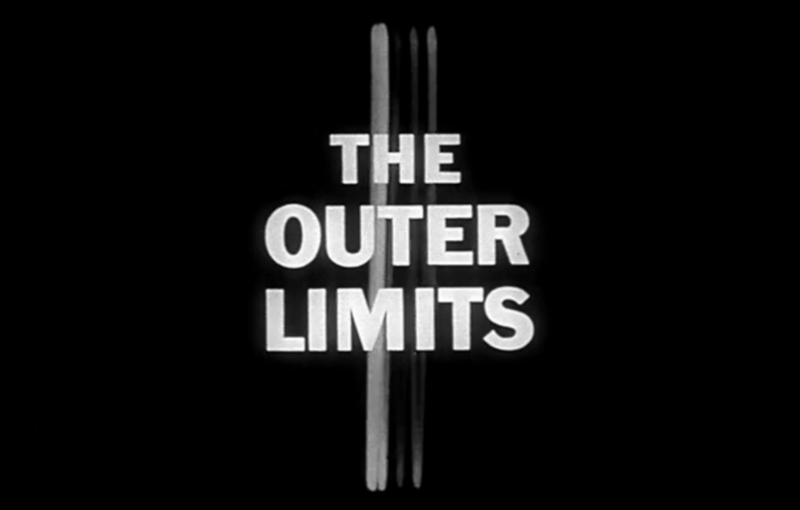 Andy: The Outer Limits often distinguished itself from other horror or suspense shows by its penchant for more overt science fiction. That’s a genre which can feel dated more quickly than others, which may be one reason why the show isn’t as widely remembered today as its contemporary, The Twilight Zone. But the sci-fi trappings of “Demon” aren’t rooted in a particular era’s notion of the future; this is a story about primal, pulverizing emotions—devotion to one’s society, fear of not just death but annihilation—which happens to use alien races and superintelligent computers as driving elements. The clearest, and most ingenious, extrapolation of current technology is in its suggestion that life itself may become digitized and stored on electronic media, as was being done with growing amounts of sensory stimuli using methods only a few decades old at the time. Like you, Les, I was fairly bored by the romance angle, which felt shoehorned in the way too many stories try to merely check that box. The fascinating relationship here is the one between Trent and his robo-hand. From the start that thing is unsettling; it’s attached to him, but I was never totally sure it was truly his ally. And yet Trent trusts it completely: When the hand advises him to let the Kyben kill him, he doesn’t question and scarcely hesitates. (Weirdly, despite my mistrust, I never thought of HAL—the first reference points I thought of were loyal oracle-guides like Ziggy from Quantum Leap or Booster Gold’s companion Skeets.) The hand is the key—despite the claustrophobic setting, the need to assemble the hand’s missing components turns the middle section of the story into a classic fetch quest—but it’s also a character. It’s the one in charge, so even if the fate of humanity is in the hands of one man (as we believe him to be most of the way through), the fate of that man is in the hands of emotionless technology. That’s a frightening thought, and one that’s even more palpable in the 21st century than in the mid-20th. This notion of control is baked right into The Outer Limits‘s MO. That famous title sequence makes it clear from the start, and 50 years later it’s lost none of its power to unsettle. The discordant array of TV audio and visuals gone wrong is remarkably creepy (I suspect it would be even more so to viewers just beginning to adapt to this new machine in their living rooms). The measured yet grim narrator reinforces that sense of dread: Despite the chaos, someone is in control here… it’s just not you. Jessica: Another voicing chiming in to say that the romance angle felt very forced, instead of Proto Sarah and Kyle. But I think that may have almost been intentional. She’s a damaged woman in an abusive relationship, and over the course of the episode I can almost buy that this situation had pushed her past the brink to where she was latching on to him in desperation. There’s an awful finality when she walks away from him in shock at the end, not just for him but for her: I don’t think she’s going to ever be all right again. I also really like the idea of our survival ending up in the hands of something “soulless.” First in humanity’s usual self-sabotaging way of being needlessly coy and not programming Culp’s robot to know exactly what it is, and then our arrogance in thinking that Culp is in fact soulless. It’s a wonderful, tricky performance. You see how crushed he is at the end, watching her leave and realizing his long wait is just beginning. And yet, there’s a sense of dignity to him, that he will stand up and fulfill his role as sentinel for humanity’s survival. That might be the final irony, that the technology we build to destroy can save us, but only by evolving past our need for instant gratification. 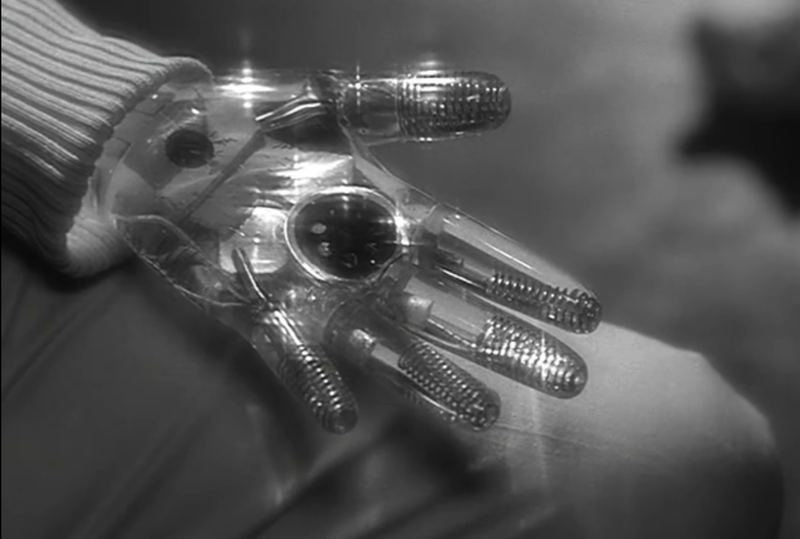 J.: “Demon with a Glass Hand” is an excellent example of a recurring motif in Harlan Ellison’s work, that of the individual made to suffer for the good of everyone else. Ellison protagonists are frequently put upon, without their consent, to endure unimaginable hardship for the sake of their people, even when those people don’t realize it. Here, Trent is forced to live, alone, for over a thousand years, in a solitary vigil. Usually, these figures are conscripted into service with little or no knowledge; here, it’s even worse, because Trent was built for this purpose, leaving him no escape from it at all. I’d read about Ellison rewriting his script to meet budget requirements, and I agree that the new setting was the right choice. I don’t see the story working as well as it does if pitched as a cross-country chase the way Ellison dreamed it up; the tension that comes out of all that shadowy claustrophobia is part of what makes the episode so special. I didn’t mind the love story that much. Sure, Martel isn’t a fantastic actress by any stretch, but I thought it worked in setting up the devastating reveal. And it is another irony there, that her people, the human race, will eventually (in theory) be saved and resurrected by a creature she’s quite repulsed by. (It raises the question I don’t think the episode addressed: why program Trent to think he’s human, anyway, especially considering that his robo-hand spills the beans basically the minute it’s able to do so?) But it ends with Trent embodying the theme that usually arises in these type of Ellison stories: deal with it. He’s stuck in a terrible situation, with an awful job, and no way out. So, he just deals with it. I love the last shot of him, standing above us, seemingly suffused with purpose. He has a thousand-year wait ahead of him, but he’s going to soldier on, undaunted. And I thought my job was bad. Noel: Why program Trent to think he’s (it’s?) human? Because without that sense of sentience, without that sense of drive, why bother completing himself? The notion of being human gives Trent a purpose. If the hand spilled the beans too soon, Trent might’ve just decided to head to Vegas and discover that he was really good at counting cards. It’s an interesting question of rewards and incentives for, essentially, a laborer. I’m with J. and Jessica on the romance angle. Martel’s dealing with a horrible character (abused wife, hysterical) and doing what little she can to keep that character going. But she sells that reveal, and makes it land in a way that it might not have had Trent been in isolation the entire time. Her departure from the building removes whatever last bit of humanity he thought he had. What else can he do now but wait? We now return control of your web browser to you. Until next week at the same time, when the control voice will take you to—the This Was Television spooky roundtable. 10/25: Night Gallery, “The Phantom Farmhouse”/”Silent Snow, Secret Snow” (Season 2, episode 5); available through Hulu. Since several comment on the voice of the ‘Hand’. It was voiced by Robert Culp.